Ground cover is important for a number of reasons. It helps prevent erosion, helps hold moisture in the soil, adds organic matter to the soil, prevents random weeds from taking over, and many other things. I will be incorporating many different kinds of ground cover as I start building up my homestead. I don’t want to plant grass anywhere that we will have to mow, so I will be using ground cover in lace of grass as well. The first place I am incorporating ground cover is my grape arbor (future arbor that is). Between the grape vines in the ground I decided to go with strawberries for ground cover. The leaves of the strawberry plants will spread out nicely and help with the moisture in the ground. Strawberries also multiply and spread themselves out pretty quickly. I did mulch between the plants as well, but strawberry plants give an obvious added bonus. Once the grape vines get big, they may shade out the strawberries and I may have to replace them with shade tolerant plants, but for now, this should work perfectly. For the path of the arbor I decided on clover. Clover handles being walked on very well. It is also a wonderful source of pollen for the bees, we don’t have our own yet, but that will happen. Finally, clover is also a nitrogen fixer. I’m not sure if the plants are close enough to the grapes to provide them with anything in the way of nitrogen, but maybe once the vines get big and they spread out it will. Oh well, it’s a good thought. There are all my little clover seeds. Pretty exciting stuff, right? I gave the ground a quick raking to loosen the dirt, spread the seeds over the ground pretty thick, gave them some water and covered the whole area with a light covering of leaves. There is a lot of direct sunlight here, so I figured I would attempt to keep some moisture in the ground until the clovers (hopefully) start growing. A month or so from now, this should look really great. We will see. My seedlings were getting pretty spindly growing in the sunlight from the windows. I needed a place to put them outside that wouldn’t take up much time. I had some hoop house material I had saved from a couple years ago laying around begging to be used. I did not have the time or extra money to go out shopping for parts to make any sort of hoop house or anything really. This fancy mini greenhouse was made with a rope and my leftover material. 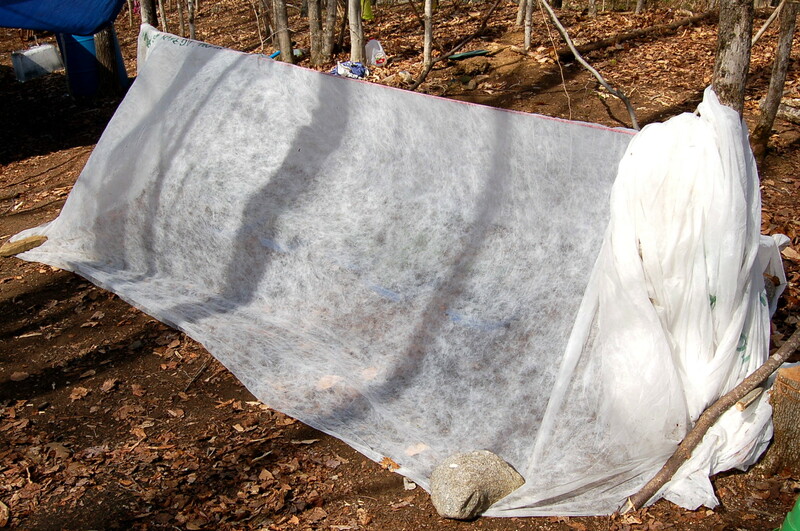 I tied the rope between two trees and draped the material over it. The edges are held in place with rocks and pieces of wood we had cut and not used yet. That’s it. I had to add some dirt around the potted plants to help keep them from flopping over, but I think they will do fine in their temporary new home. I’ll bring the rest out tomorrow. We have finally got to planting the first seeds. No a ton, but some herbs, onions and peppers. Next week I will get to tomatoes and broccoli. Very exciting time! I don’t really have a good place to put the seeds in this apartment, but I had to try. There are very few windows in this place and there is not much light coming into them. Next year, I hope to have some semblance of a greenhouse for the new little guys, but for now, this is what I’ve got. We drink a lot of milk around here, so I needed a good way to start reusing the milk jugs. 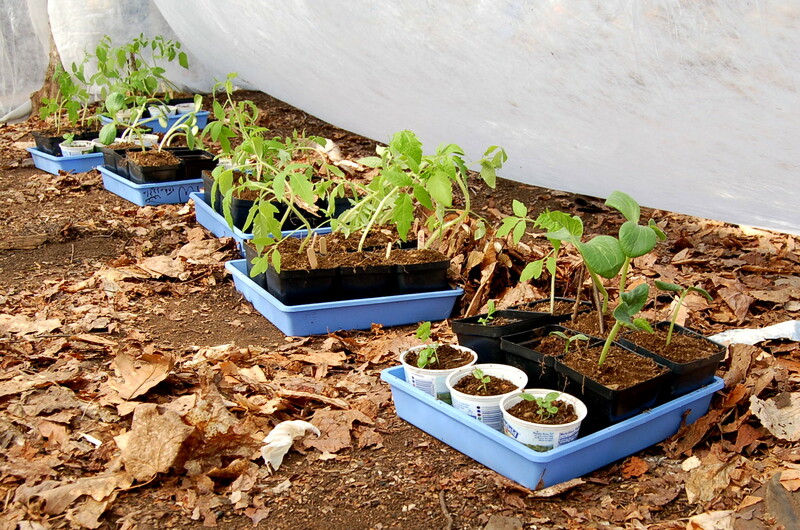 Seed starting trays seem to be a good idea. I guess I will find out soon enough. You can’t really tell in this pic, but the table the plants are on is a homemade cardboard table. I cut up and reassembled some cardboard boxes from the move and arranged them into a table like structure. I won’t share the picture because it is pretty ugly. But so far, it is working. I got to have some extra fun planting this batch of seeds too. The children helped me. At 2 and 3, it was an interesting experience trying to keep them from playing in the dirt and dumping things everywhere, but we got it done. It was a good opportunity to teach them about planting seeds and how they grow into plants that will grow us food to eat. The little guy thought this meant that he should eat the seeds, but I think the 3 year old is starting to understand. I did have to explain how it takes a while for the food part to grow, but she is at least starting to understand. 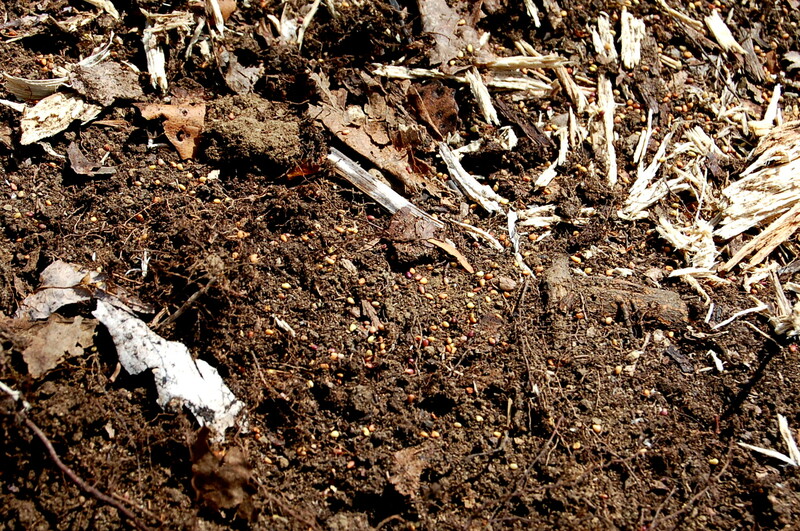 They both did a really good job spreading the seeds around in the soil and then I covered them up. They watch me water them in the morning and know that their seeds need water to grow. It makes me very proud that they are interested in seeing their food start to grow. Now we just have to get them to start eating the good food. I am really hoping that if they help grow the food, they will eat it too. Maybe wishful thinking. I know that it is too early to talk about starting seeds, but if I waited to post this until everything was frozen, you wouldn’t be able to collect your stump dirt for spring! 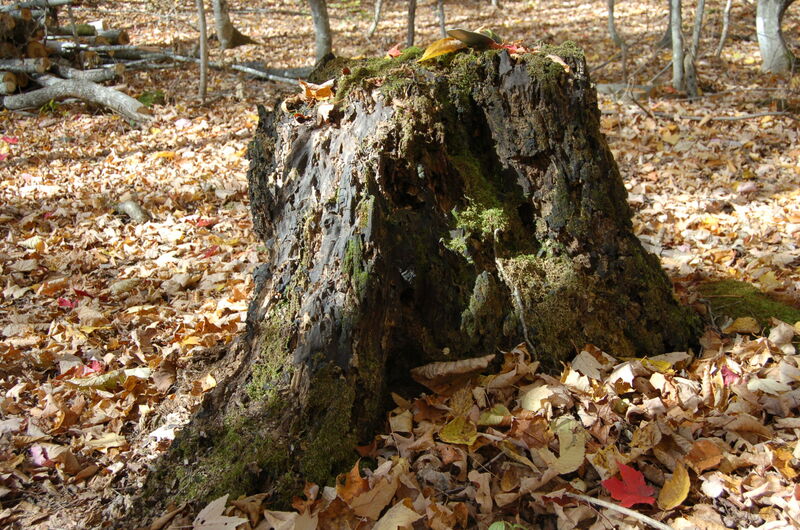 Find an old rotten stump and check out the decaying material inside it. 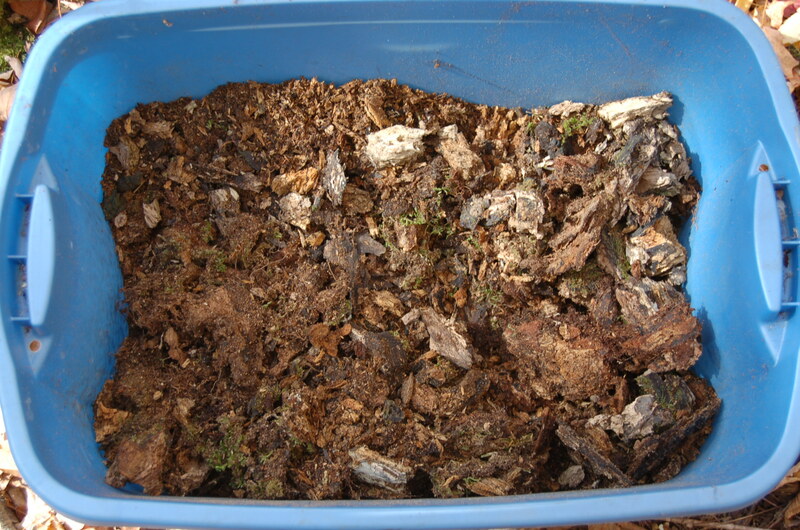 Beautifully composted wood, broken down into organic matter, just sitting there waiting to be collected. 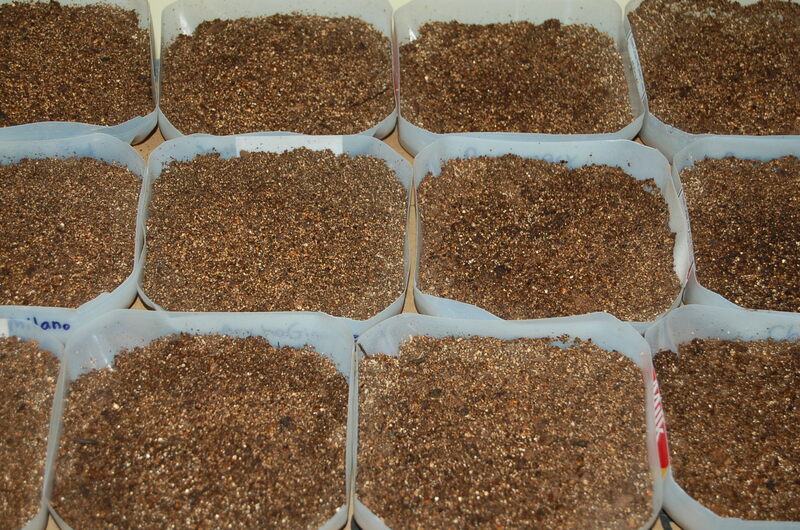 Hopefully, if I feed and water it a little, it will break down a litle more before spring. Next year I will attempt to find the time to find a more broken down stump, but this should work fine for this year. We will see. Squash is my favorite vegetable to grow. I love the taste, the varieties, watching them grow through the summer and the fact that the winter varieties store so well. There are tons of recipes of all kinds for squash from stuffed squash, to squash bread to squash pie. You can get squash in every shape, size and many colors and patterns. I will never get bored of squash. I want to grow every single kind every year, but I also want to be able to save seeds, so I have to be careful which varieties I pick. 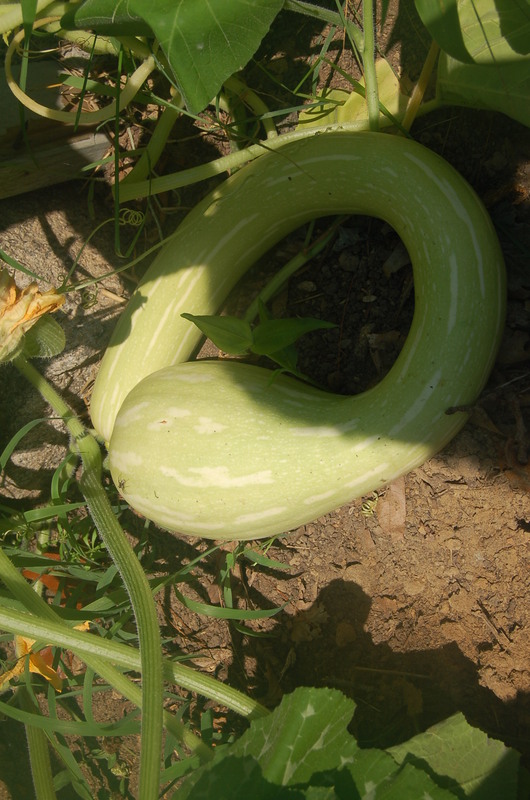 There are 4 different species of squash: Cucurbita maxima, C. moschata, C. pepo and C. mixta. Each species has multiple varieties. If you want to be able to save seeds that are true to the parents, you can’t have any 2 varieties of the same species near each other. This is because bugs pollinate squash and as they bounce flower to flower, the different varieties will become cross pollinated. You may want to do this though, you could get some very interesting new squash. I have read that varieties of the same species need to be separated by 1/2 mile to keep them from crossing. I plan on trying to put two varieties on opposite sides of the property to see what happens then. I will save those seeds and plant them the next year to see what I get. I won’t be upset if it doesn’t work because it should still be a good tasting squash when it grows. You can also pollinate the squash by hand to try to ensure a true to the parent squash, but I’m not that advanced. Once I get a couple good years of saving squash seed, I will work on that skill. Don’t forget, whenever you want to choose any vegetable to save the seed it had to be open pollinated. Many of the hybrids also will not produce fertile seeds. I prefer to go with heirloom seeds myself. Happy squashing! It’s almost spring and the seeds are here! Just enough for a small vegetable garden to put away some stash for the winter. I am keeping it simple this year because we are going to be so busy doing other things. Generally, permaculture doesn’t do a lot with annuals. Perennials come back every year so you don’t have to put as much into them. Plant them once and a little TLC every now and then. But they also won’t be ready and providing food right away, and we do need to eat right away, so we will have a vegetable garden. You also get very different vegetables annually than perennially, and I’m not willing to give up my squash! Hopefully, every year the perennial garden will be more and more productive and the annual garden will shrink down to only the vegetables that I really like. This year I will be just planting some perennials, so I likely won’t get much of anything from them. I will focus on really learning how to grow the few annuals I picked out. 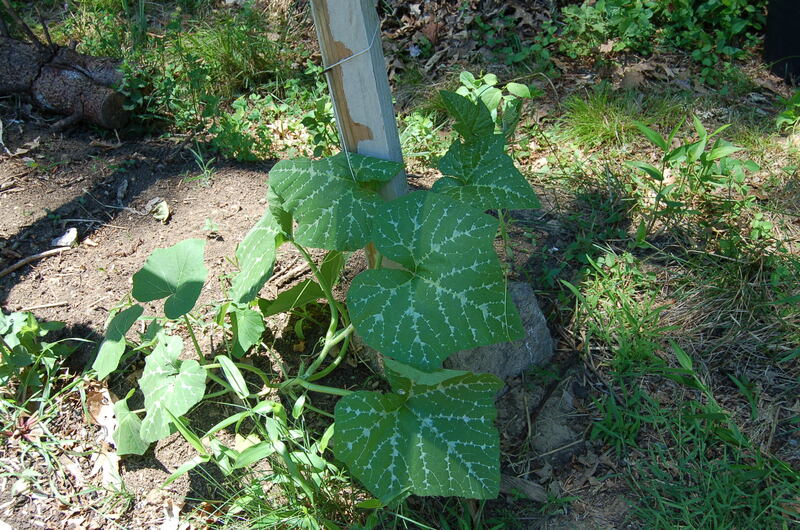 I have corn, beans and squash/pumpkins which I will grow together using the “three sisters” method. (I’ll talk about that later) I also have cabbage, kale and beets. That’s it. Nice and simple this year. Maybe next year I’ll add a couple other things. The first seed catalogue of the year showed up today. Always an exciting time for me. I spend way too much time reading through the books trying to decide what I want to plant and which variety of everything. A little of everything is pretty much what I decide on. Always more than I will ever find the time to plant and take care of. Well I have a new strategy this year. I will plant only five kinds of vegetables in my garden. I’m not counting my perennial garden, orchard, flower garden or herb garden by the way. Although I will likely start small with those as well. With only five kinds of plants in the garden, I will be more able to focus on learning about the five and not get overwhelmed. I won’t have a lot of time for gardening really this year anyway. There will be tons of work on the new lot and all. I also won’t have much cleared land in the spring when I will need to plant. But limiting myself to only five is a tough choice to make. I decided to go with storage quality, ease of growing, least attention needed, what I grow fairly well now, and I let the man pick one. I will be growing kale, winter squash/pumpkins/gourds (I had to sneak extra in somehow), cabbage, beans, and corn. I will likely change my mind, but for now this is my simple list. Hopefully this will prove to be a strategy and I can add a few each year. Maybe even be an expert at a few! Decarbonise the air, Recarbonise the soil! For all those stuck in the middle! Life on the homestead with a librarian and a chef. A blog for kids (and everyone else) who love dragons.